People aren't perfect and therefore life isn't perfect. Even the world we live in is anything but perfect! Our brains are created to think 'perfect' and even though we don't have perfect brains, we expect people and situations to be perfect. That's why so many of us focus on mistakes and errors. We complain and gossip about imperfections (forgetting that we have our own weaknesses with which to contend). It's good to know that our minds strive for perfection. It's also good to know that our minds and the way we direct our thoughts have an effect on our hearts and the way we feel. Having this knowledge means that it would be good to extend kind favour to everyone and every situation we encounter. Accept people as they are. Let them express themselves freely, wherever and whenever. Show empathy. If their words irritate you, it's you that's irritable. Don't take it out on them. Don't criticise! Until you have lived a minute in their lives or carried the burden they carry each day, you will never understand what makes them say and do the things they do. Self-control and self-evaluation reveal more about ourselves than we can ever imagine. Start at 'home' and tend to yourself, and then go out into the world and spread some love. A young couple moves into a new neighbourhood. The next morning while they are eating breakfast, the young woman sees her neighbour hanging the wash outside. "That laundry is not very clean; she doesn't know how to wash correctly. Perhaps she needs better laundry soap." Her husband looks on, remaining silent. 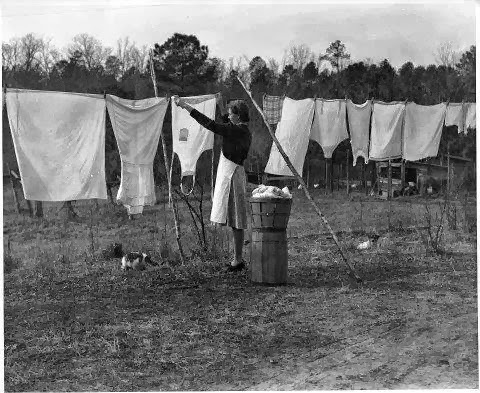 Every time her neighbour hangs her wash to dry, the young woman makes the same comments. "Look, she's finally learned how to wash correctly. I wonder who taught her this?" The husband replies, "I got up early this morning and cleaned our windows." So it is with life. What we see when watching others depends on the clarity of the window through which we look.